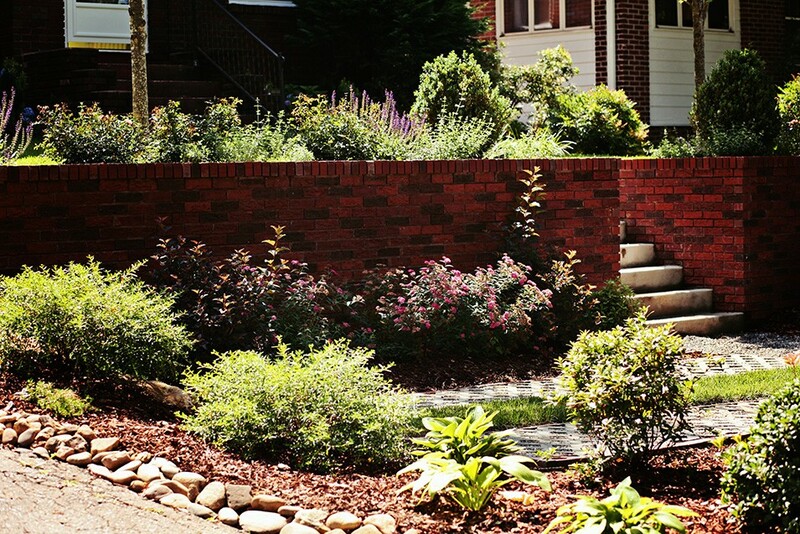 For this project, we transformed a small, plain urban lot into an outdoor family oasis, complete with a dining area, parking, and a safe yard space for the kids. 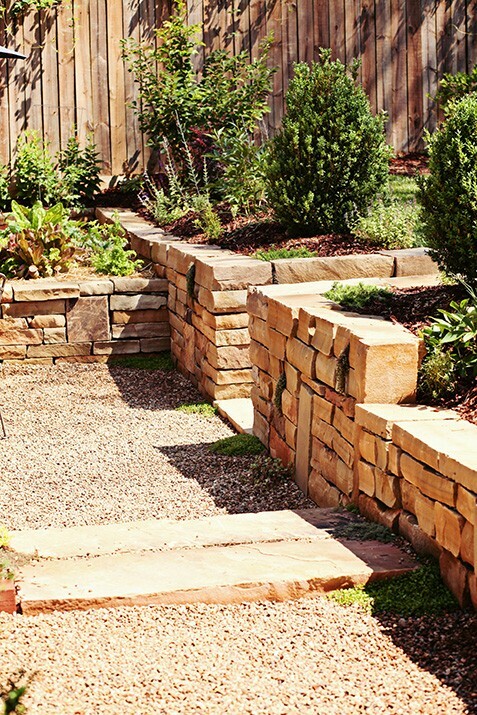 We created a recessed dining area with steps that led up to a play area, so that Mom and Dad could dine outside while they watched the kids play. 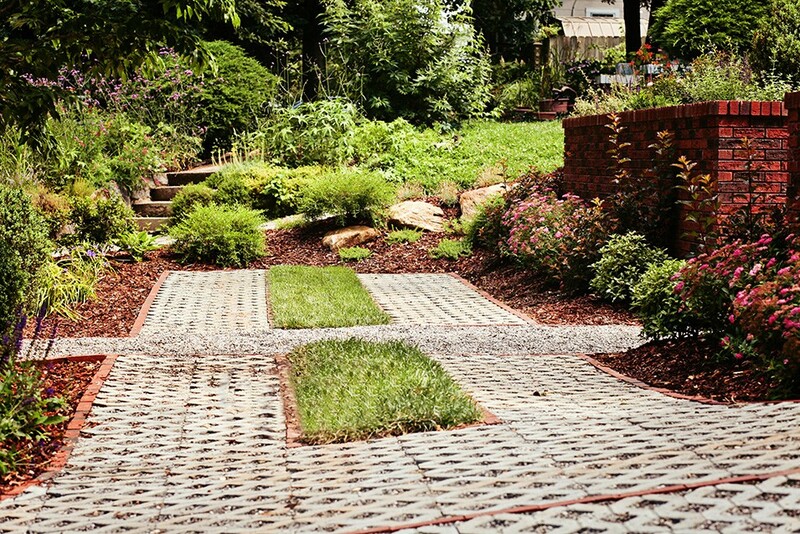 For a beautiful and eco-friendly parking solution with a softer feel, we combined permeable pavers with grass. 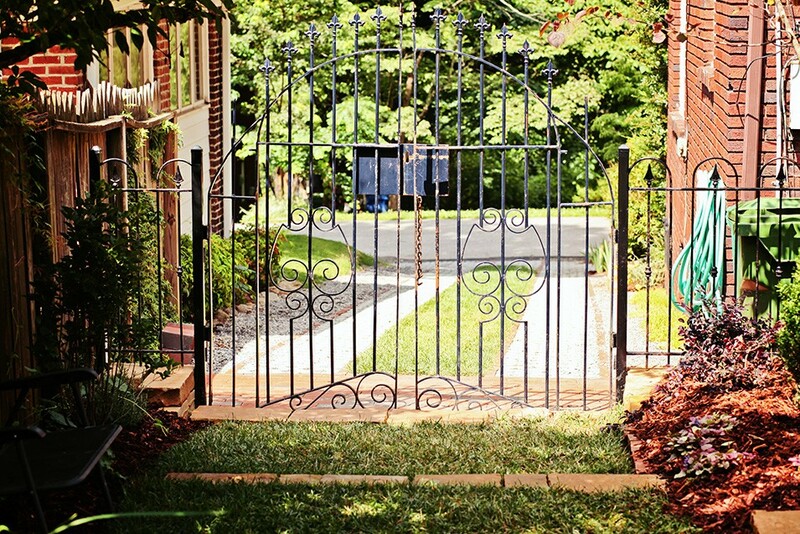 We rebuilt and expanded the existing brick wall to create space for a tiered entrance, and we used a re-purposed rod iron gate from an antique store to create a well-defined, charming space. 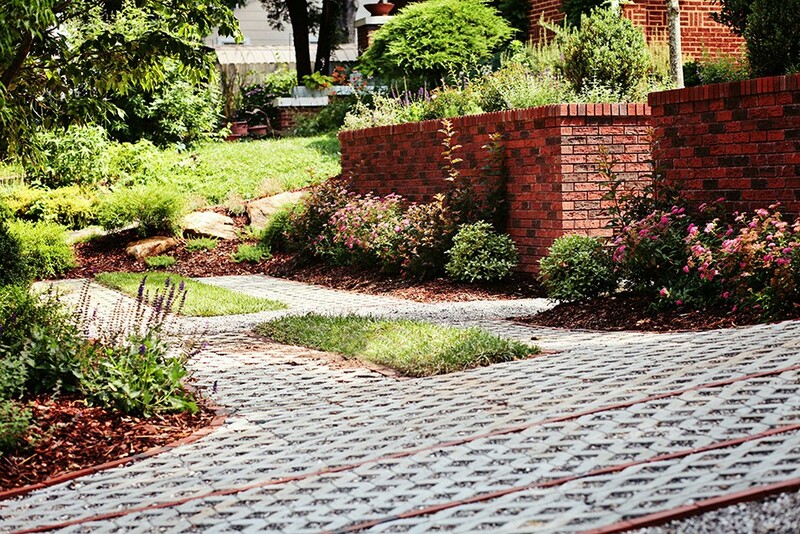 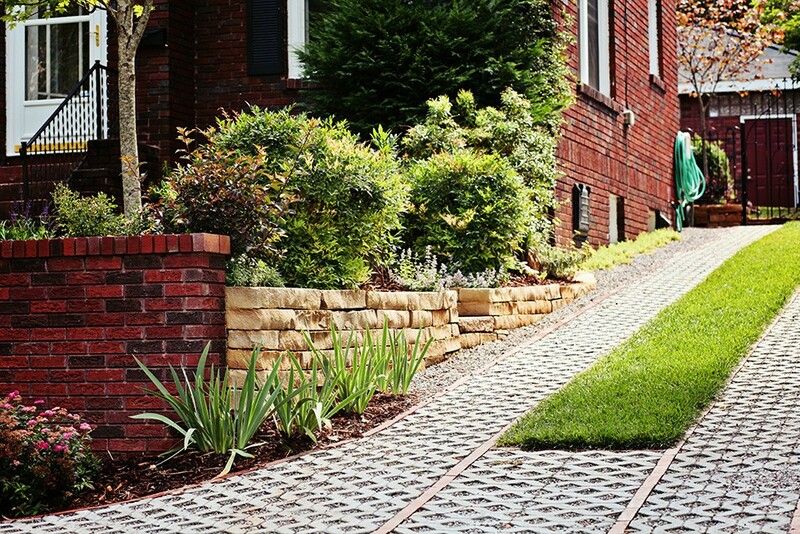 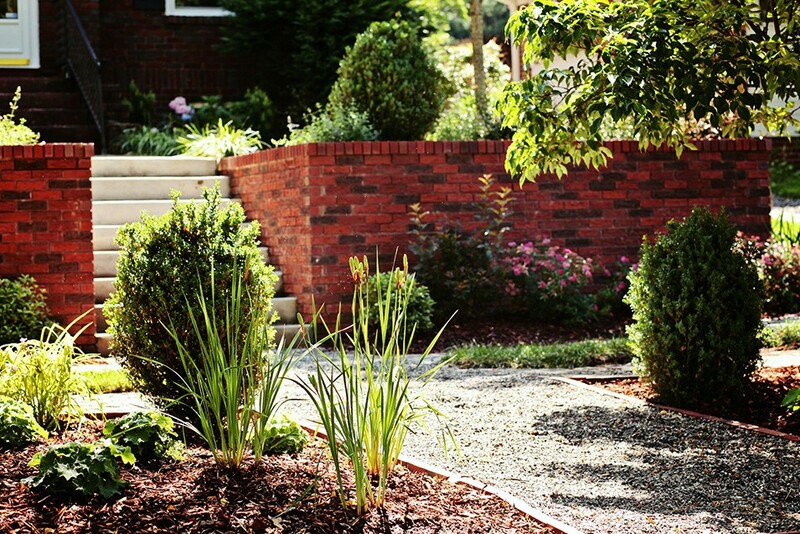 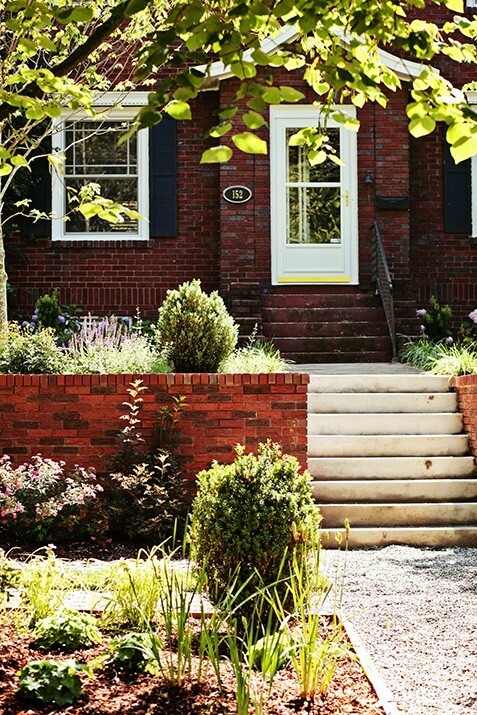 For added interest, we used a mix of brick and stone throughout the landscape. 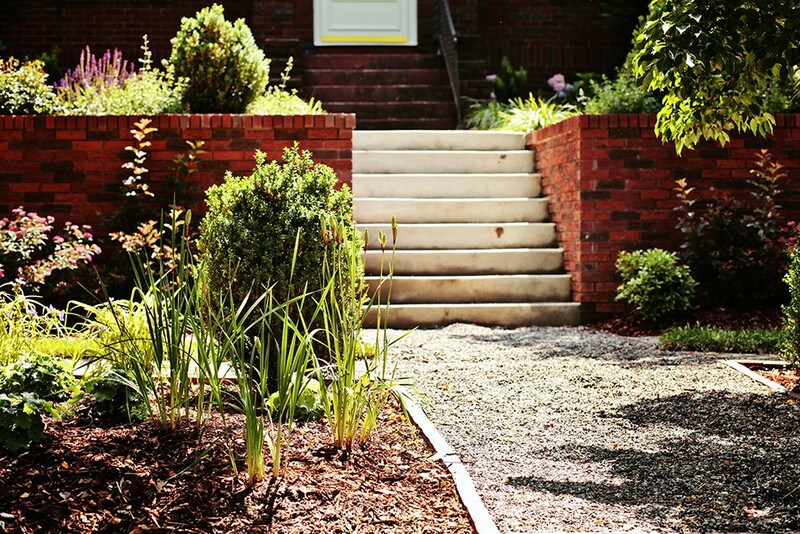 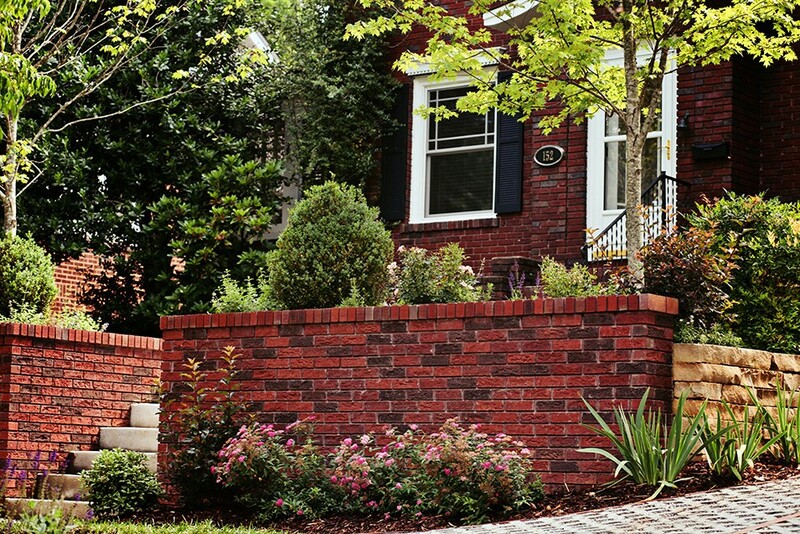 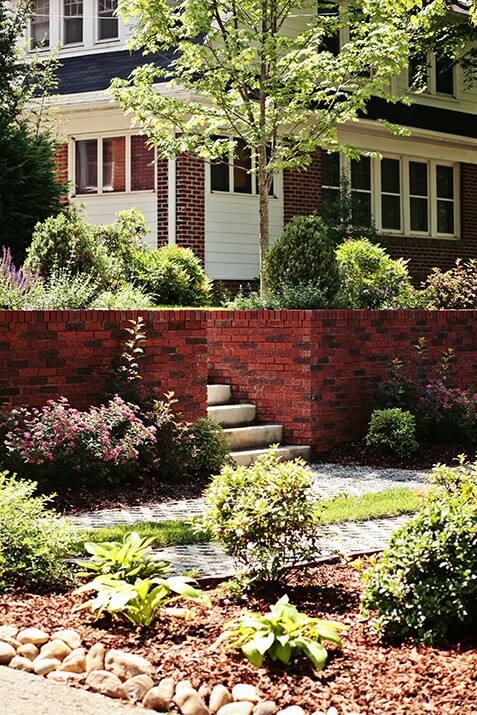 For a seamless look, we chose plants with colors that would both highlight and blend well with the color of the brick home.